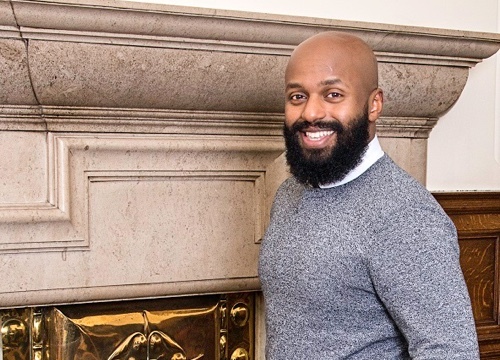 Cllr Magid made an impact at a busy and vibrant meeting of the full Council on 7th February. As Deputy Lord Mayor, this was the first time he had chaired the whole meeting and he certainly rose to the task. Magid reminded everyone – both councillors and members of the public – to show respect to the views of other people. There wasn’t enough room in the public gallery so many people had to wait in the overflow rooms. The audio and visual feed broke down yet again, leaving many of the public in the dark as to what was going on. Staff did their best to fix it but it was yet another demonstration of why we call for broadcasting of meetings so that everyone can hear what is being said in their names. And there were certainly a lot of questions asked, plus seven petitions. Petitioners and questioners described the appalling temporary accommodation provided to nearly 100 homeless children in 2017, often sharing accommodation with single male ex-offenders. They had one cooker between 20 people. It is against the law for councils to put homeless families in B&Bs except in an emergency. One petition was about the new slippery pavements. Another asked for safe houses for men fleeing domestic abuse. The young people who represented this petition reminded us that 6,100 men commit suicide each year. A new petition called on the council to limit work on the Chelsea Elm. The speaker said trust had broken down with the council but this iconic tree was a good place to start a process of change. In response, Cllr Bryan Lodge stated, “there’s no proposal to cut the tree down.” This may be the start of that change. The Council admitted it did not stop Sheffield Housing Company selling off residents’ leases. In the debate on the Housing Revenue Account, the cost of re-cladding Hanover Tower was put at £3-5 million but it won’t be done until after the final Hackett Report is published later in the year. Amongst concerns as to why the wrong cladding was installed in the first place, the cost of failed insulation and the delays, the good news is that tenants have “chosen the colour” of the new cladding. We proposed an amendment to the LibDem motion, which called for a retired High Court judge to lead an inquiry into allegations around the Streets Ahead contract. We said the council should investigate bringing the contract back in-house if there was evidence of dishonesty. But of course, just “cancelling” the contract isn’t straightforward: Amey can’t put the trees back. There was no time to debate the other motions and they were just voted on. Ironically, there was a noisy outburst by Labour councillor Jackie Drayton at not being able to debate their motions. But it seems our motions had some effect. The Council will announce more council tax help for care leavers soon. It has also promised to look into funding for the Women’s Vote Centenary – which was the substance of Alison’s proposal. After Cllr Magid had called the meeting to a close, there was more drama in the public gallery. As the councillor all left, campaigners unveiled a banner saying, “Show us the Contract please.” They later occupied the council chamber for a few hours. Fantastic work councillor Magid,huge thanks to you! What a breath of fresh air you represent. Please don’t leave this area! I’ve lived in Sheffield for a year now but have been dismayed by the behaviour of SCC and the attempt to bring Councillor Teal down really shocked me to the core. I have complained about the state of the new roads to my local MP Gill Furniss after a conversation with an unhelpful person over the phone. Both the roads and pavements are lethally slippery in icy weather,or even just a heavy frost!